The Kids Baksmalla Jacket from Jack Wolfskin is perfect for ice skating, snowman building or winter walks. Your little outdoor fan will always be dressed for the occasion. This classic style fleece jacket is made of recycled materials. 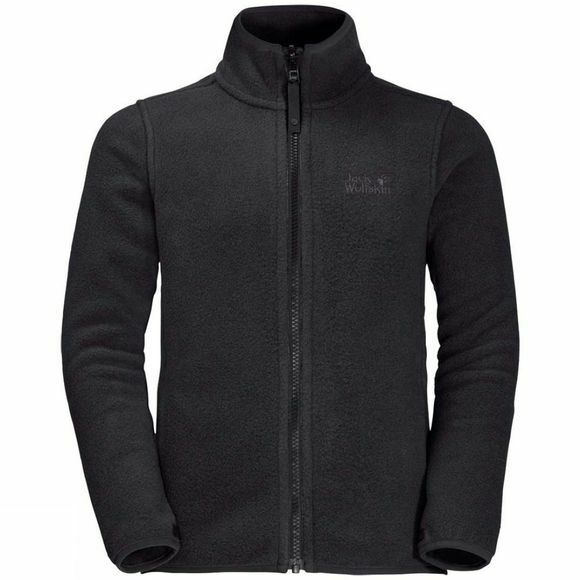 The Baksmalla is hard wearing, warm and has a simple, basic design–like a classic fleece jacket should be. It can be zipped into a compatible outer jacket, for better protection in the rain and snow.